Choosing a groupset for the Kinesis Aethien was a bit of a tough call. My criteria was that it had to be either Shimano or possibly SRAM as per my other bikes and that preferably I would stick with 10-speed to match. I didn’t really want to “upgrade” to 11-speed, I don’t see a huge advantage to one extra gear, but the new Shimano 105 11-speed was available at a really good price, too good to pass up. It worked out even cheaper than sourcing individual parts on eBay or forum sale ads! It does get great reviews online and in magazines and the weight penalty is less than 200g over the much more expensive new Ultegra. For less than £300 for the entire groupset you can’t really go wrong (I think Shimano price it so aggressively to push more people into the new tech). I had to buy it with an Alpine conquering 11-32 cassette as they were out of stock in other combinations. That’ll be interesting seeing as I can get up most climbs in my current 39/27 bottom gear! I’ll be switching out the cassette for a much closer range one later on. Now, where did I put my Allen keys? My race bike has 105 components and while 105 is recognizably less smooth, it’s still really good stuff. And like you said, the savings is worth it… Although, a half a pound is a lot… Hmmm. I’ll let you know how I find the shifting and performance soon. I see 105 as the thinking man’s groupset. 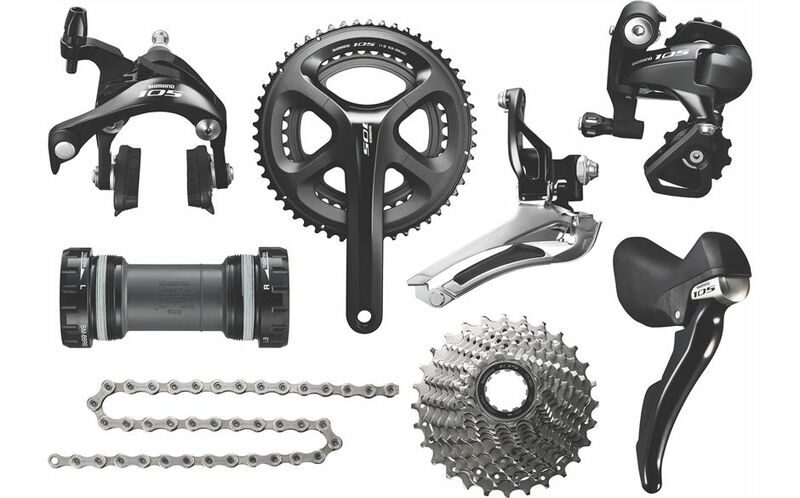 You get all the functionality and trickle down tech from the higher priced groupsets with only a small weight penalty and at a fraction of the cost. Having the bike come in a smidge lighter would sound nicer, but probably wouldn’t affect my performance much. Yup. The 105 set is also known as the workhorse. It’s rebound for its durability.